Spotify has a lot to laugh at: British TV comedy classics like Monty Python, comedy music from Richard Cheese and Flight of the Conchords, and hundreds of hours of stand-up comedy. 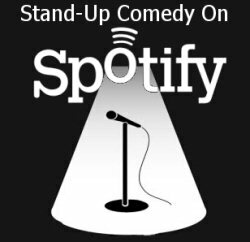 Spotify has heaps of releases from the current crop of American and Canadian stand-ups (mostly thanks to Comedy Central Records), along with the odd album or two from British comics. Read on for a selection of my favourites, including a playlist of Best Comedy Albums of 2009. 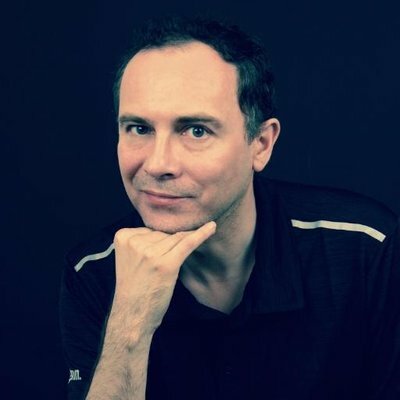 One of the best things about living in Edinburgh is the annual Fringe Festival, when the world’s funniest comedians, comics, and stand-ups all come to Auld Reekie and take up residency for the month. I usually try to see some shows each year, as there’s nothing quite like sitting in a small, hot club or hall a few feet away from a comic delivering his set. I’ve seen many big names over the years and many more lesser-known comedians. Recent favourites include Stewart Lee, Jerry Sadowitz, Frankie Boyle, and Chris Addison. My sense of humour tends towards the blacker, darker side of comedy so BE WARNED – some of the following may not be for you! I first heard “controversial American stand-up” Doug Stanhope via his appearances on Charlie Brooker’s Newswipe series on BBC4. Being a fan of Bill Hicks, I love Stanhope’s style and material: it’s angry and offensive but also intelligent, reasoned, satirical and the funniest stuff I’ve heard in years. 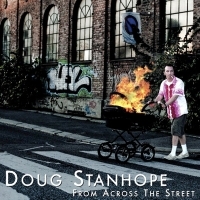 Spotify currently has three Doug Stanhope CDs, all of which are brilliant and required listening. Steven Wright is the master of the deadpan delivery. He specializes in bone-dry and contrived one-liners, a style emulated by newer comics like Stewart Francis (the Canadian from BBC’s Mock the Week). 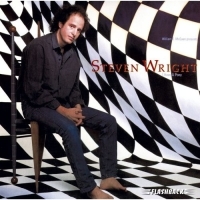 You’ve probably heard a Steven Wright quote before but hadn’t realized where it came from. Spotify has both of his albums: I have a Pony from 1985 and I Still Have a Pony from 2005. 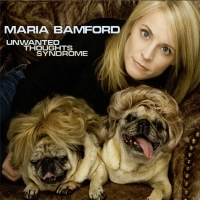 Winner of many “best of 2009” comedy rounds-ups, Maria Bamford specializes in character-based comedy with an amazing array of voices; she reminds me a bit of Nina Conti. Spotify carries three of her albums, and she also appears on Comedy Central’s excellent Comedy Death-Ray compilation. 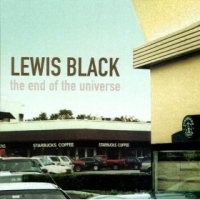 Grammy Award winner Lewis Black has starred in over a dozen Hollywood movies, but you might know him best from his “Back in Black” appearances on The Daily Show. Spotify has five of his seven CDs. Ed Byrne usually sells out within days whenever he’s up here for the festival. He’s been performing standup for over a decade now, and is also a familiar face on panel shows like Mock the Week and 8 Out Of 10 Cats. 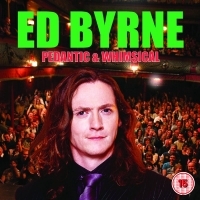 There’s only one album on Spotify: an audio version of his Pedantic and Whimsical DVD. With a career spanning four decades, Glasgow’s most famous comedian has released loads of stand-up and folk music albums. Spotify has lots of The Big Yin’s records, mostly his musical releases but fortunately there are a few of his stand-up shows too. 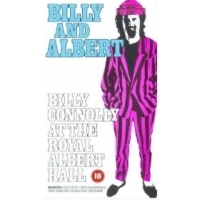 Start with Classic Connolly (aka 1974’s Solo Concert album) then work your way forward with Billy and Albert (1987) and Live at the Odeon Hammersmith London (1991). Featuring: Big Jay Oakerson, Christopher Titus, Dana Gould, Demetri Martin, Doug Benson, Doug Stanhope, Dwight York, Greg Behrendt, Greg Giraldo, Jamie Kilstein, Jim Gaffigan, John Mulaney, Jonathan Katz, Lewis Black, Marc Maron, Maria Bamford, Matt Braunger, Matt Kirshen, Michael Ian Black, Mike Birbiglia, Mitch Hedberg, Steve Hofstetter, Steve Sabo, and Todd Glass. If any tickle your fancy, just click the album title to hear the full set. The BrokenTV blog recently ran a 4-part feature on comedy on Spotify. 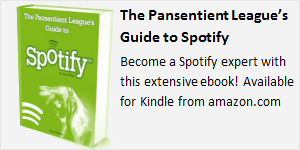 A dedicated site comedify.com listed all the comedy on Spotify, but unfortunately the site’s server blew up after @spotify retweeted the link. SpotiNotes sometimes features comedy amongst all the other excellent posts. www.chortle.co.uk haven’t mentioned Spotify yet, but it’s the best site for news and reviews of standup comedy around Britain. So, you think you’ve found something funny? Let us know in the comments about your favourite comedy on Spotify!